Zhang Yimou is perhaps one of the most well-respected directors in international cinema, and yet you wouldn’t know it from the amount of flack he’s received for his Chinese-language remake of “Blood Simple.” I don’t count myself among the many admirers of the Coen brothers’ 1984 neo-noir – it’s a great debut film, though hardly one of their best – but Yimou obviously does, so it’s strange that his love letter to the film has been met with so much hostility. 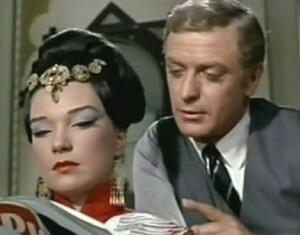 With the exception of a few tonal changes, his version remains surprisingly faithful, with the story transported to 19th century China and revolving around a noodle shop owner who hires a policeman to kill his cheating wife and her lover when he learns of the affair, only for things go horribly wrong for everyone involved. Though Yimou’s attempts at including a little screwball comedy to the proceedings fails miserably, the film still works as a slow-burning crime thriller, with Sun Honglei delivering a killer performance (no pun intended) as the quiet assassin. 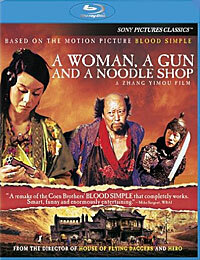 The movie also looks incredible (from the colorful costumes to the gorgeous cinematography), and though it’s never going to replace the original, “A Woman, a Gun and a Noodle Shop” is still a mostly interesting interpretation that I’d actually like to see done more often.